The Phi Theta Kappa chapter on the PJC-Sulphur Springs Center campus is holding a Fall Fund Raiser to help support leadership conferences, seminars and other projects for its members. 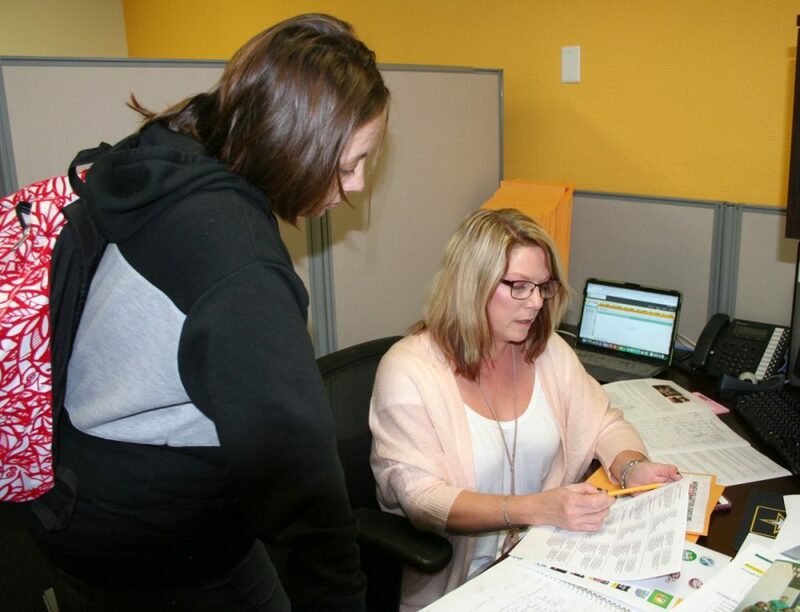 Above, PTK Advisor/Instructor Trina Lubbe, right, discusses the Coca-Cola Fundraiser with member Rachael Whetstone. PTK members will be promoting the event until Nov. 20 and anyone wishing to contribute can stop by the campus to make a contribution by purchasing their favorite soft drinks.